Selina Laidler (nee Baggaley) has kindly provided a selection of her family photo collection. Some are provided below. the full collection is available from the following link Baggaley Family Album Do you recognise anyone? Selina would be delighted to hear from any one who knows the identity of the people shown in the collection. 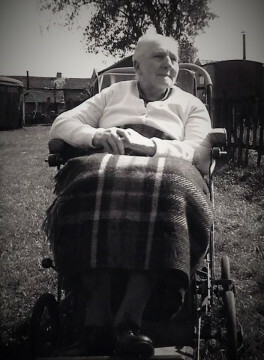 The main picture is of Selina Baggaley (nee Slater), Selina’s grandmother. Her father Edwin Baggaley farmed in Stoney Middleton during the war. He lived at Hilltop farm which is located opposite the caravan site at the top of High Street, before moving to Edale where Selina was born. The collection shows various interesting backgrounds of the area around the farm at the time. 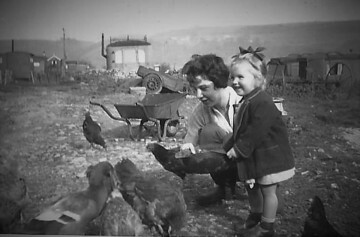 The picture opposite shows a young girl feeding hens. The background is particularly interesting as it shows a number of caravans which are presumably in the same location as today However their design is completely different to todays modern design. The question is where these holiday homes or were they used as permanent homes? 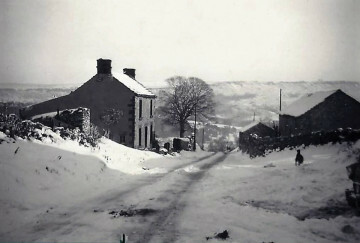 The picture below is taken directly opposite the entrance to the caravan site looking down the high street towards the village of Stoney Middleton which is a the bottom of the hill in the background. Today there are three other cottages immediately after the cottage on the left. What great family photos. An enviable collection. My parents had a dwelling on this site in the early fifties, just after I was born, for nearly twenty years . It was our weekend retreat and I have very fond memories. I used to ride on Edwin, and Veras, tractors and spent hours watching them working in the fields. I have many, meny memories, but also photos, they are stored away, I will have to find them out. Happy Days! feel free to contact me if you wish. No relation to the John Hallam in the article by the way. PS I might know who the girl in the photo is. 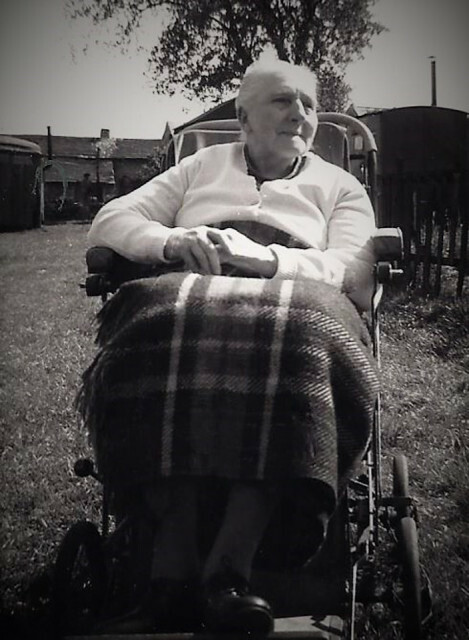 my mother used to tell when she was a little girl she used to visit aunt Selina at who lived on a farm at stoney middleton,it was a lovely surprise to see the two photos of her which I have never seen.